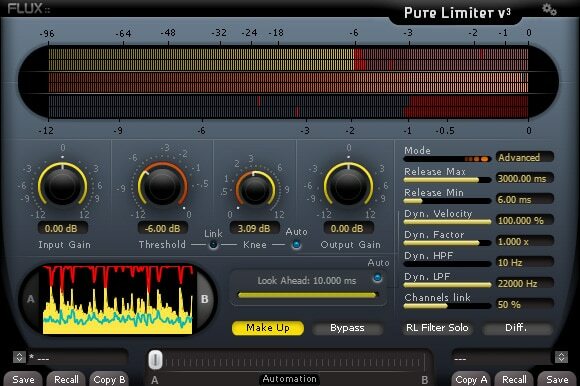 Pure Limiter was designed to provide clean transparent limiting and to preserve the sonic integrity of the audio material even when dramatically increasing the average audio level. Used at the very last stage of your audio processing chain you get full control on your levels, without introducing any artifacts on the processed audio material. In addition to the common controls on a limiter; Input, Output, Threshold and Knee, Pure Limiter offers control over the fundamental characteristics of the processing, all in order to provide full control over the processing even in the most demanding situations. Pure Limiter offers three different operation modes, the automatic mode allows for quick and efficient operation, and for full control of the processing a Manual Mode and an Advanced Mode is provided. Mode A – Displays the waveforms of both the input signal and the processed signal. 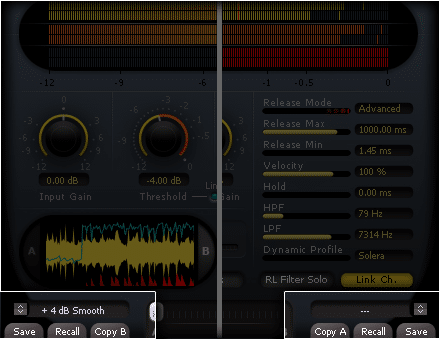 Mode B – Displays the processed waveform, the limiter action and the histogram of the release value, which is really helpful when running in advanced mode. 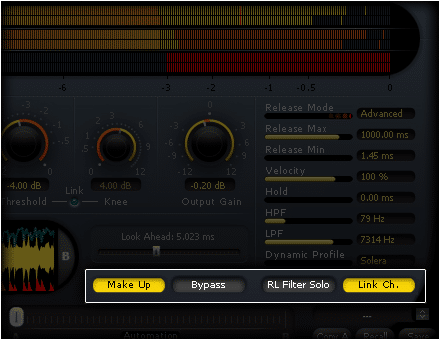 Clean transparent limiting with full control of the audio levels even on dramatically increased levels, without any artifacts introduced on the processed audio material. 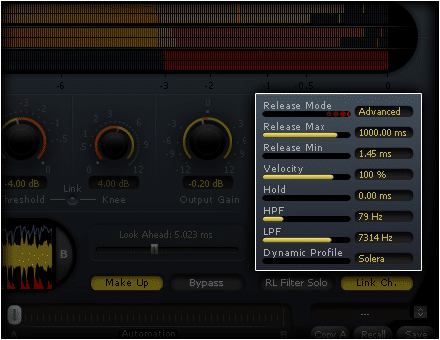 Release and Filter Controls for the Release settings and High/Low pass filters setting the highest/lowest frequency feeding the Release section. 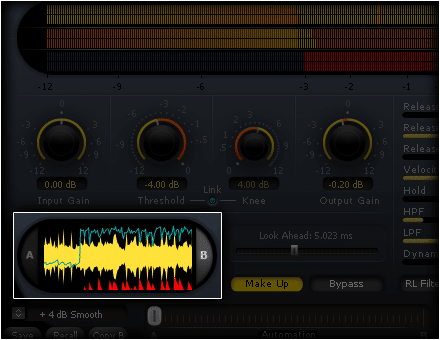 Lookahead (0/20 ms), for a decrease in the gain before any potential audio peaks. a key-point for avoiding audio distortion. Link Channels, linking the limiting on one channel to limit the other(s) as well. Make Up gain, increases the output gain from the threshold value. Waveform and Limiting Action Display with two display alternatives, A, waveform of the output signal and the limiting action in red, B, waveform of the output signal as a histogram and the limiting action displayed in red on a separate histogram with a blue line reflecting the release value.